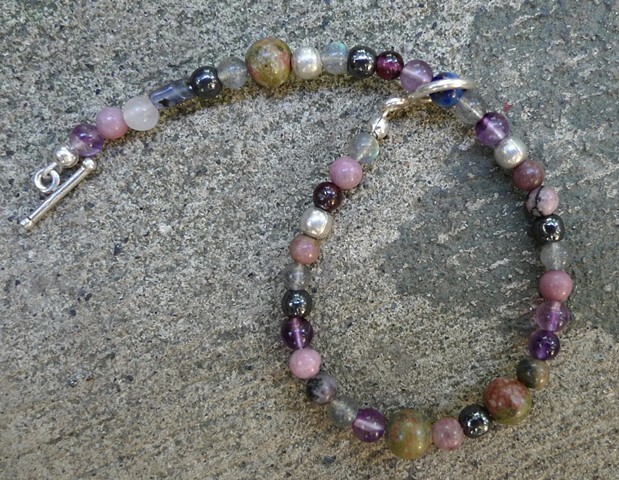 sterling, zoisite, garnet, rose quartz, rhodonite, unakite, purple fluorite, labradorite, and iolite. each gemstone carries unique properties. all work together - releasing, healing, protecting.